In looks, the new shower in Kaldewei’s Avantgarde segment is based on its namesake, the Superplan. However, the outflow with the round enamelled cover in the same colour as the tray gives it its own completely independent design. It is the most impressive expression of the particularly elegant, high quality look of the shower. The outflow cover blends harmoniously and absolutely flush with the surface of the tray and the overall aesthetic design of the Superplan Plus in precious Kaldewei enamel – providing the perfect comfort underfoot and maximum safety at all times. 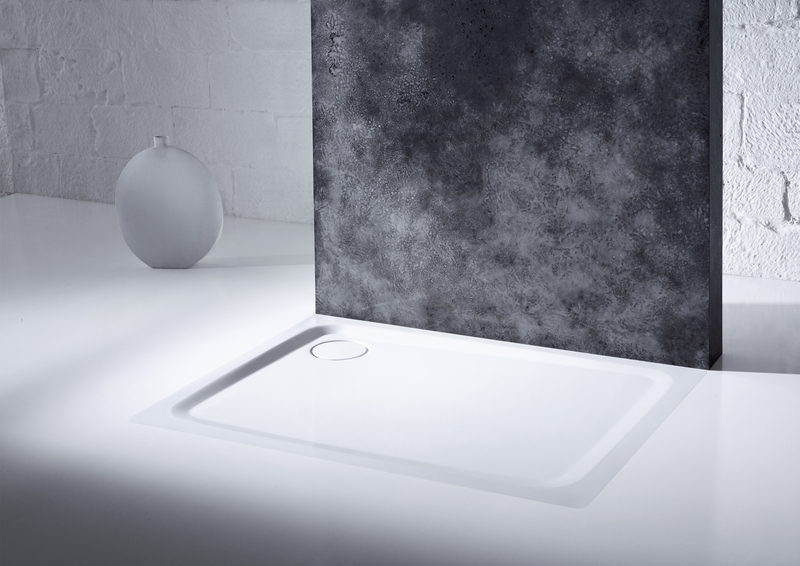 The consistent materiality of the shower and outflow cover creates a convincing unit that reflects the modern understanding of style, and enhances the elegant lines of the shower tray. Thus the Superplan Plus becomes the characteristic object of a new aesthetic in modern bathroom design. Kaldewei offers the pop-up fitting KA 125 to fulfil the high requirements of this combination of floor-level shower and outflow. Apart from the enamelled outflow cover, it also appeals for its high drainage performance with a minimum structural height of just 109 mm. The combination of Superplan Plus with this level pop-up fitting results in an innovative, perfectly balanced system solution that sets new standards in technology and design and guarantees particularly comfortable showering pleasure. The Superplan Plus is available in a total of twelve sizes, from 90 x 90 and 70 x 120 to 120 x 120 cm. 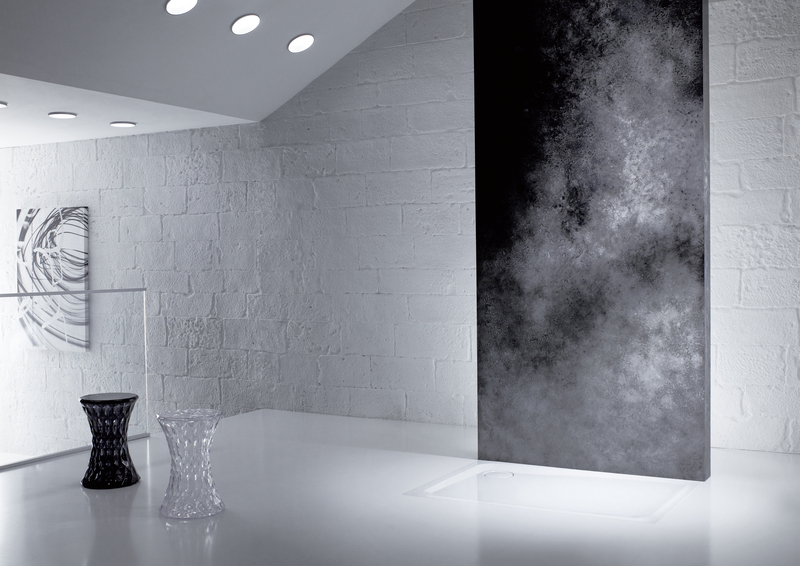 Thus it can also be integrated perfectly in the most diverse room concepts. Like the Superplan, the Superplan Plus is also extremely flat, and perfect for installations without a threshold. Absolutely flush with the floor on the flattest side, it provides a flowing transition from the shower level to the tiled floor, and in doing so complies absolutely with the current trend for floor-level bathroom designs. Easy access is guaranteed at all times and barriers effectively avoided. Whether a single person, family with children or "best-agers”, thanks to the harmonious association with the surrounding area the Superplan Plus meets the highest standards for comfort and design. Optional additions such as the easy-care “pearl” surface finish or Kaldewei’s unique anti-slip enamelling are other possible finishes. It is not only thanks to these attractive additional solutions that floor-level showers in highly durable Kaldewei steel enamel are a much longer-lasting and far more attractive solution than all-tiled shower areas. The bathroom is increasingly becoming the expression of a new aesthetic. The trend is moving towards floor-level showers, which are often positioned freely in the room and combine a special dimension of freedom of movement with maximum spatial transparency and clarity. Kaldewei has now added a further exceptional variant to its popular Superplan model series: the new Superplan Plus. Absolutely flush with the floor on the flattest side, it provides a flowing transition from the shower level to the tiled floor, and in doing so complies absolutely with the current trend for floor-level bathroom designs. Easy access is guaranteed at all times and barriers effectively avoided. 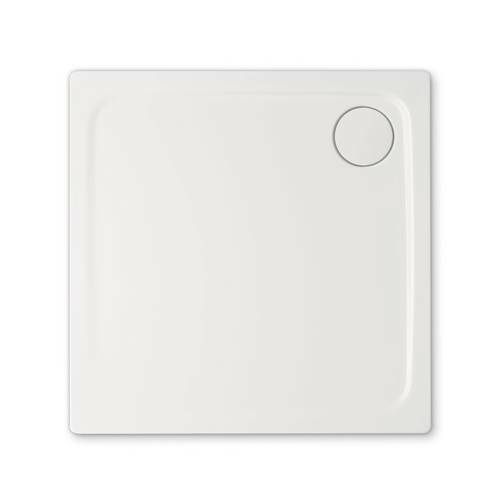 The outflow cover blends harmoniously and absolutely flush with the surface of the tray and the overall aesthetic design of the Superplan Plus in precious Kaldewei steel enamel – providing the perfect comfort underfoot and maximum safety at all times. The consistent materiality of the shower and outflow cover creates a convincing unit that reflects the modern understanding of style, and enhances the elegant lines of the shower tray. Thus the Superplan Plus becomes the characteristic object of a new aesthetic in modern bathroom design. The Superplan Plus is available in a total of twelve sizes, from 90 x 90 and 70 x 120 to 120 x 120 cm. Like the Superplan, the Superplan Plus is also extremely flat and perfect for installations without a threshold. Absolutely flush with the floor on the flattest side, it provides a flowing transition from the shower level to the tiled floor, and in doing so complies absolutely with the current trend for floor-level bathroom designs. 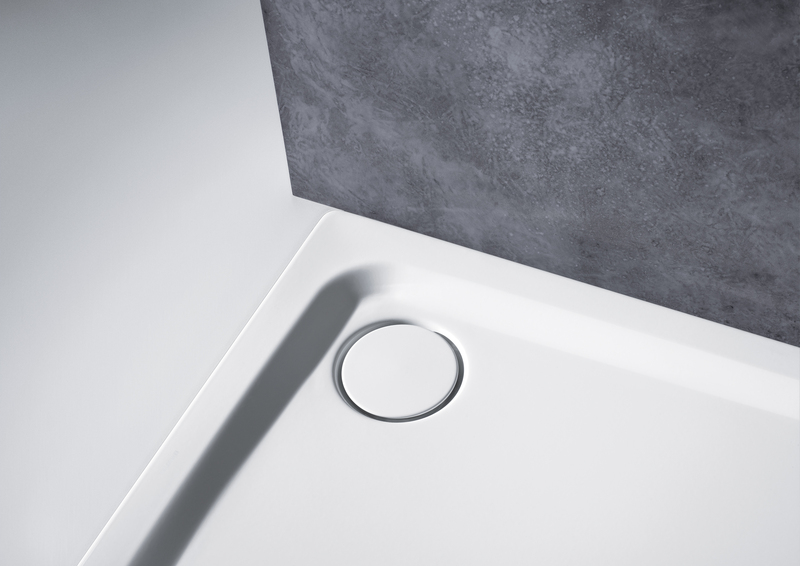 The corner outflow with the round enamelled outflow colour in the same colour as the tray lends it a completely independent design and a particularly elegant, high quality look.